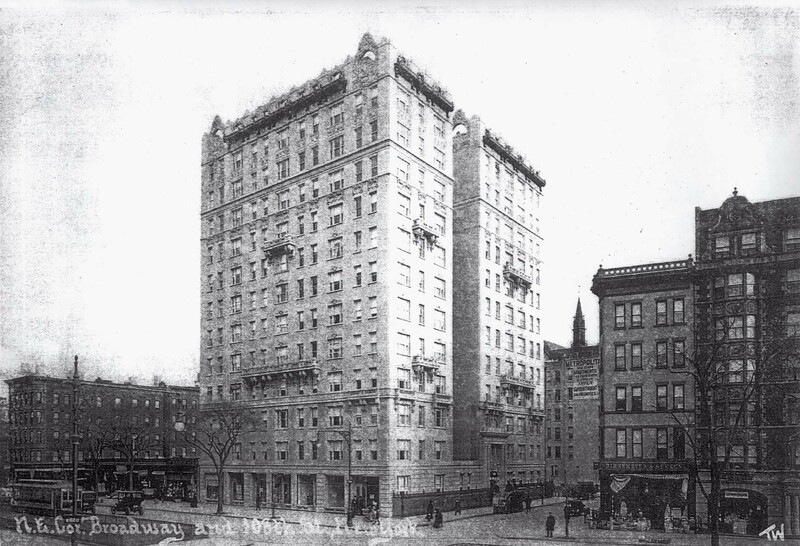 New Year’s Day, 1904, the 116th Street and Broadway subway station opened – and with it, a building boom in the farther reaches of Manhattan’s Upper West Side. 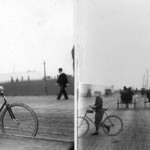 New exquisitely appointed apartment houses were being erected. 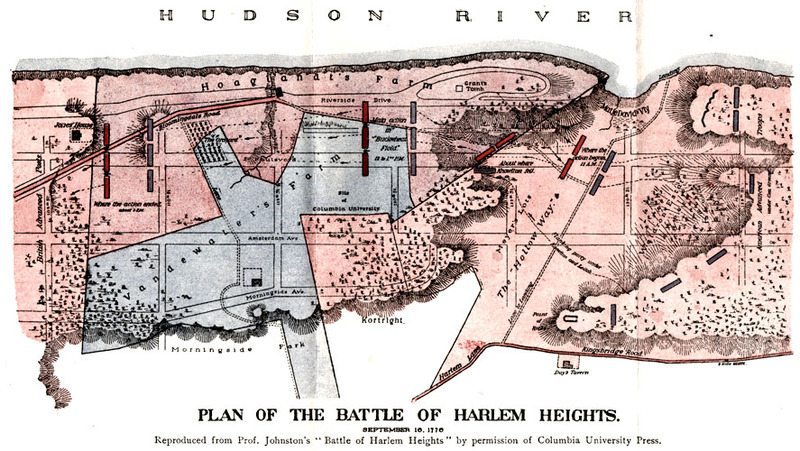 Columbia University moved from mid-town to its Morningside Heights campus in 1897. 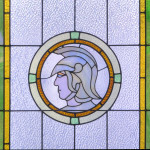 Low Library on the Columbia campus opened in 1907. 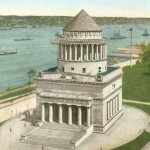 St. John the Divine’s first construction phase was completed in 1911. 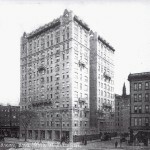 In 1909, during this construction frenzy, Charles E. McManus bought eight lots at the northeast corner of 108th Street and Broadway. 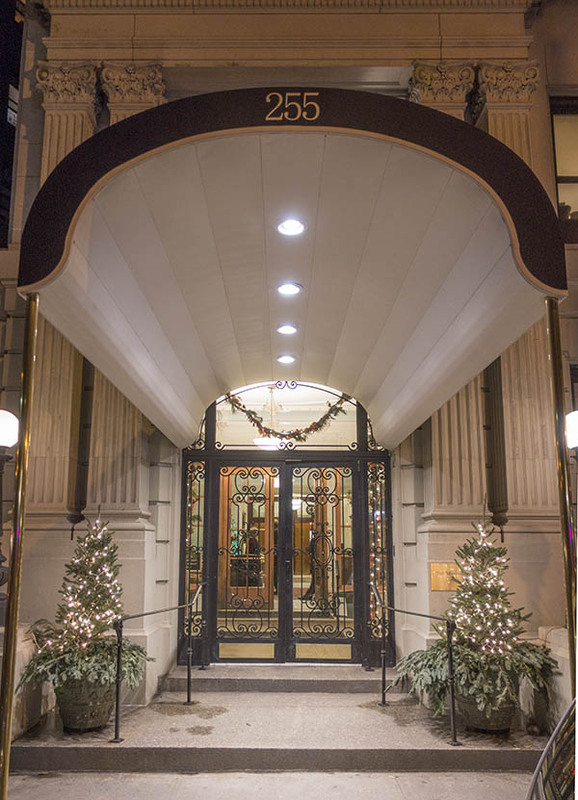 He hired the renowned architectural firm of Neville and Bagge to design a twelve-story, fireproof building to bring elegance and apartment living to uptown NY. 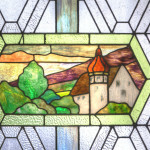 The resulting design? 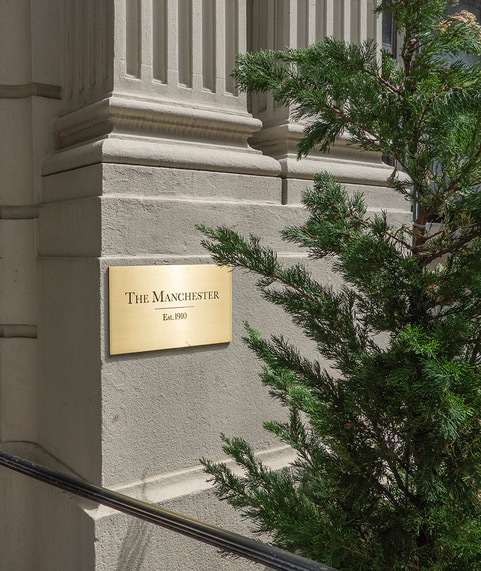 A Beaux Arts beauty: Limestone encased the exterior of The Manchester’s lower floors. 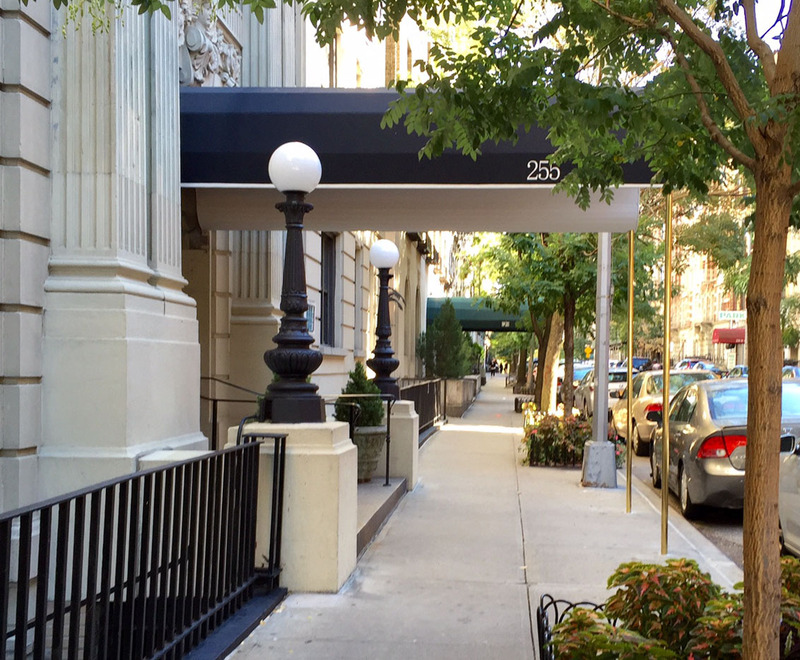 Beige brick covered the upper stories with artfully embellished balconies supported by limestone filigree. 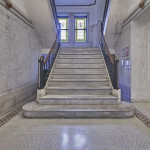 Classic wrought iron doors graced the entrance and wrought iron railings lined the inner staircase. 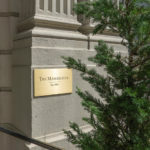 Doormen sat at a desk in the grand lobby foyer surrounded by grey-white marble walls, a white ceiling patterned with ornate moldings, and a pristine Italian white tile floor, elegantly bordered with a terra-cotta red Greek key pattern. The finishing touch? 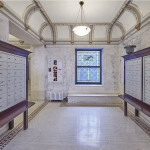 Over the grand front entrance, a woman’s dramatically carved face protrudes, her hair like rays in the shape of leaves extending toward sunflowers. 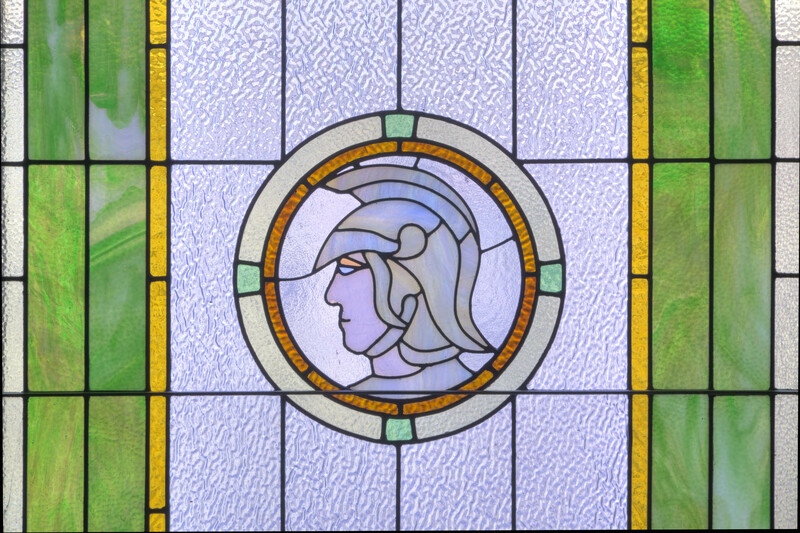 She is now the Manchester’s cherished symbol and protector: Phoebe, named after a long-time resident. 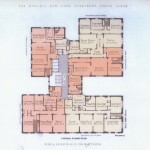 In 1981, the building went co-op and residents had the opportunity to buy their apartments. 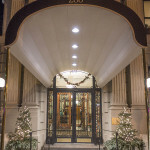 Today, over 96% of the building is owned by members of the co-op. 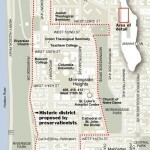 Now, as apartments come onto the market, existing residents are buying them and combining them once again. 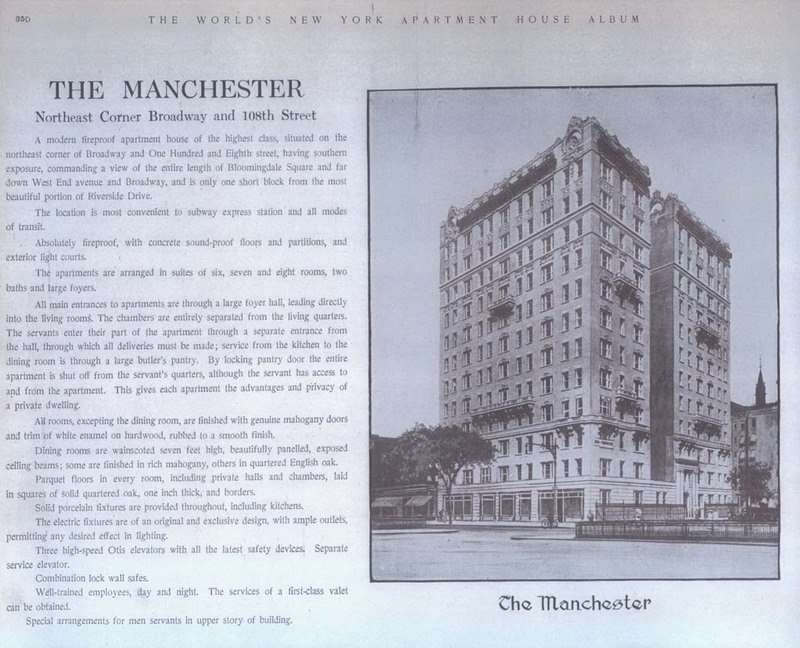 As a forerunner in the trend of creating elegant apartment houses for multi-family living, The Manchester was featured in a January 30, 1910 article in The New York Times. Read excerpt. 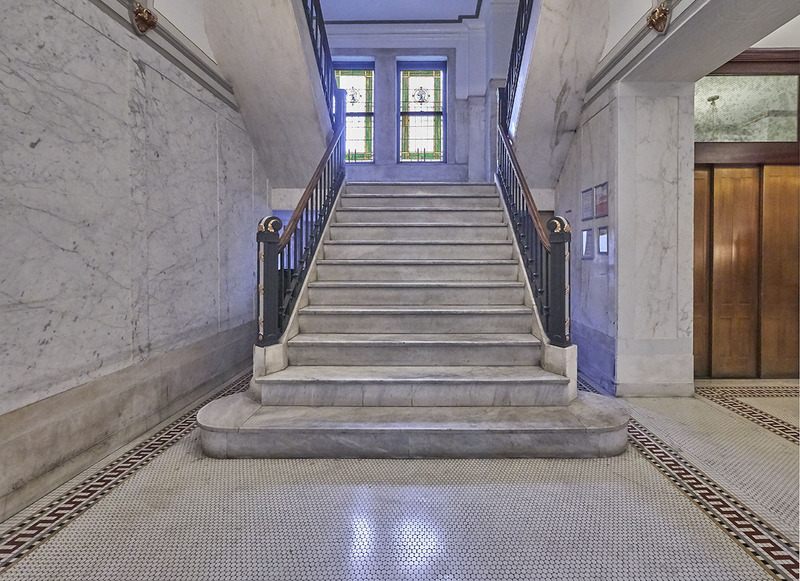 A view of our beautiful wrought iron staircase and the original restored stained glass windows, which are on every floor. 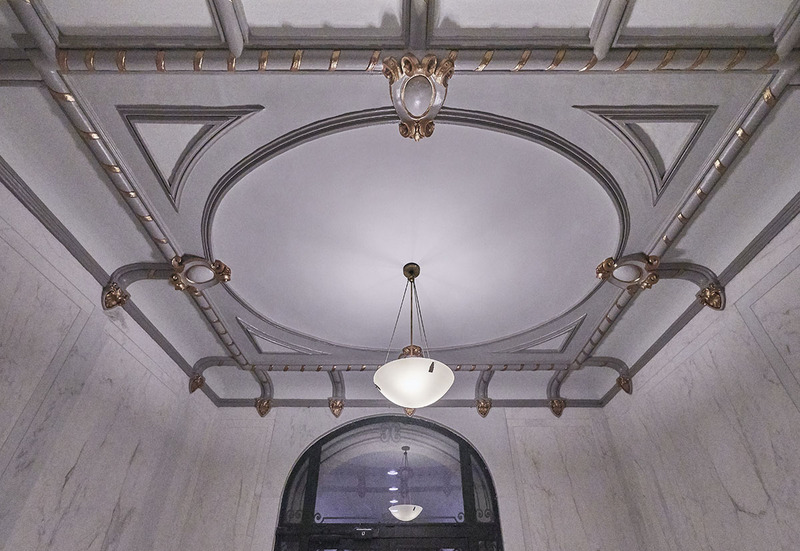 Our celestial ceiling in the vestibule. 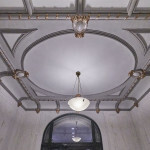 Lovely architectural details abound at the Manchester! 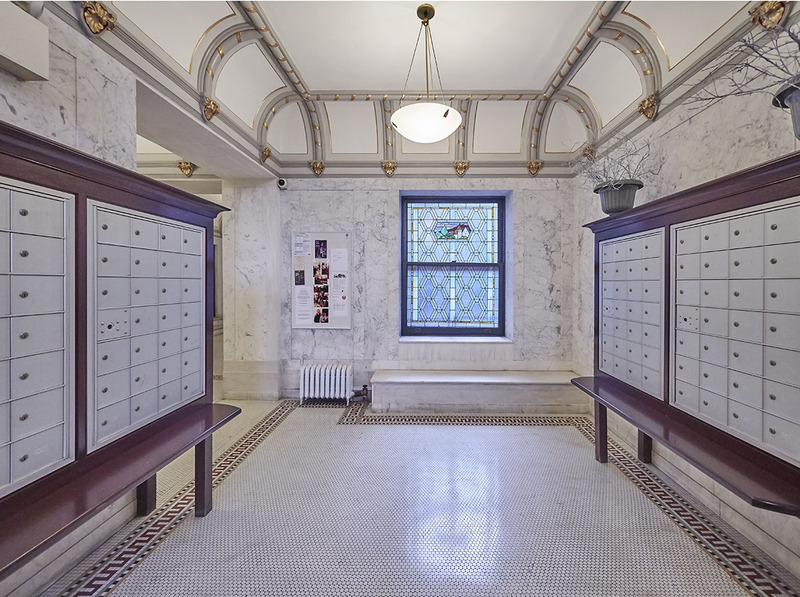 Our mail room, where everyone convenes. 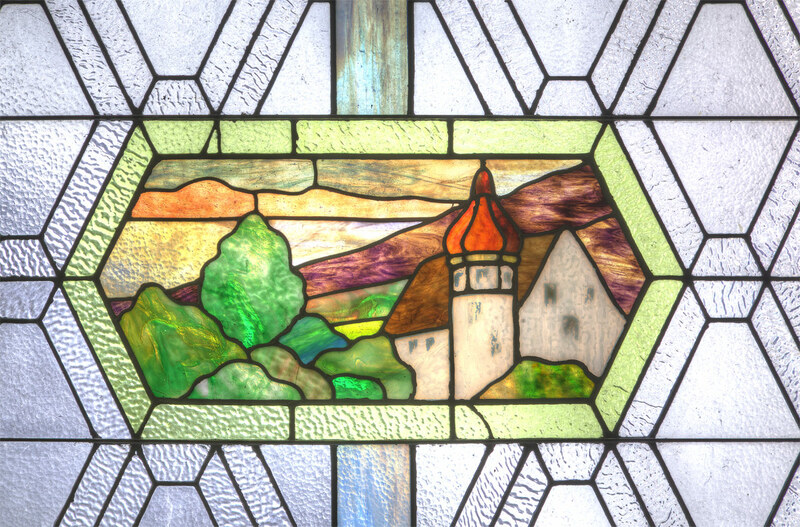 An up-close view of one of the 24 original stained glass windows in the building. 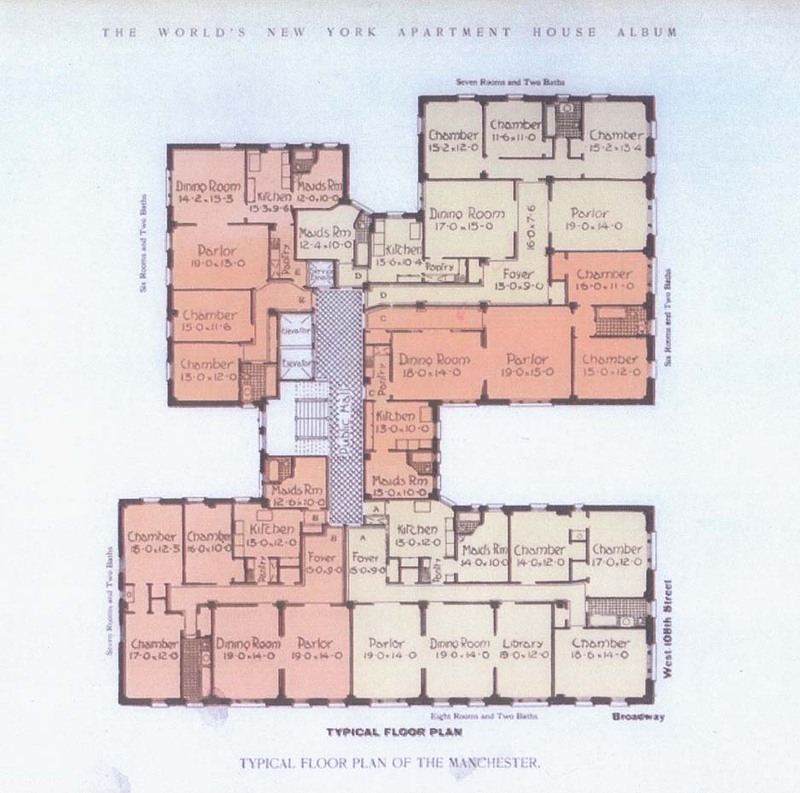 Original floor plan for The Manchester. 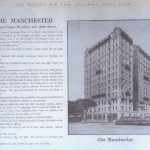 Original offering brochure for The Manchester 1910. 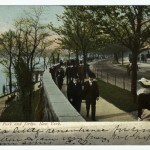 New Yorkers promenading in Riverside Park around the time the builders broke ground for The Manchester. 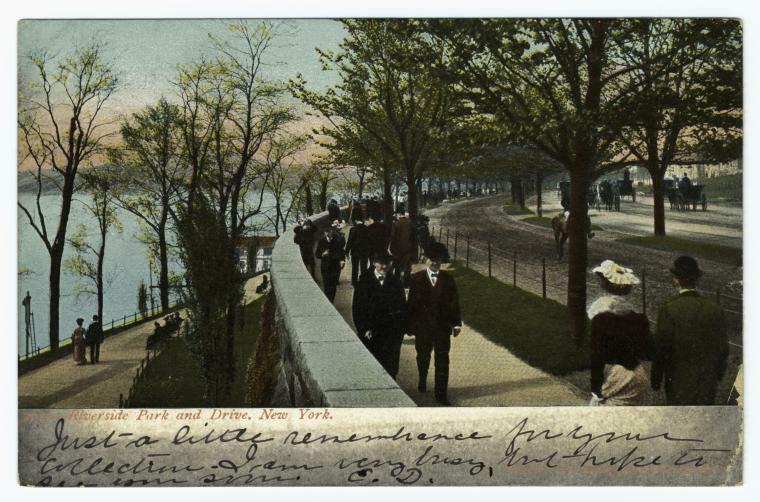 Cyclists and horse and buggies making the journey up Riverside Drive to visit Grant’s Tomb, 1900. 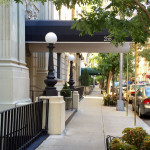 Photo courtesy Morningside-heights.net. 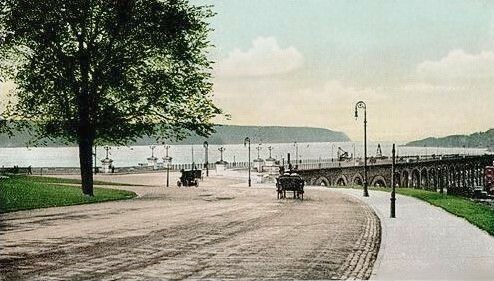 Riverside Drive around the time The Manchester was constructed. 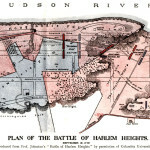 Photo courtesy Morningside-heights.net. 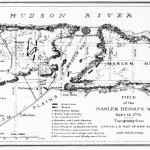 General Washington’s army’s success here helped restore our troops confidence after crushing defeats on Long Island and at Kips Bay. 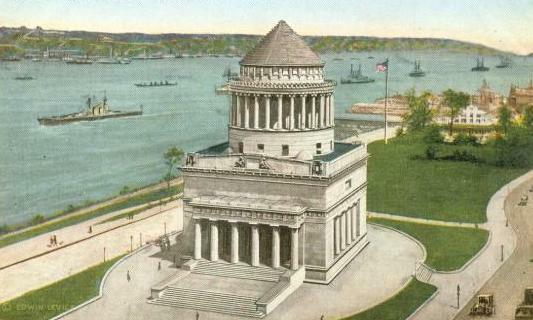 Historic rendering of Grant’s Tomb around the time when The Manchester was constructed. 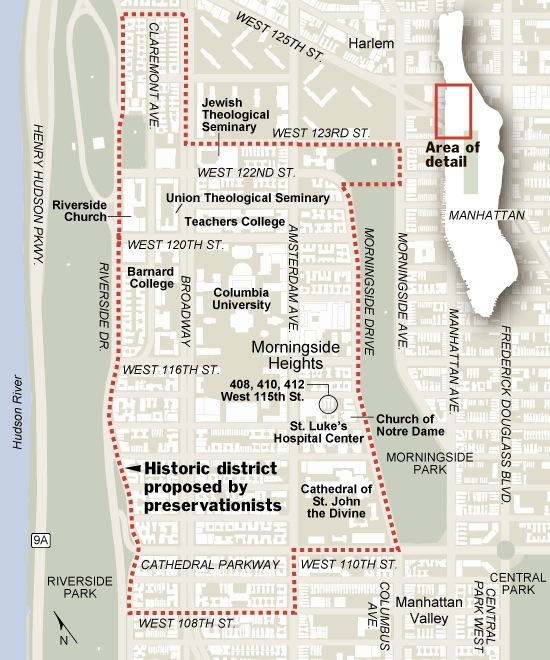 Photo courtesy Morningside-heights.net. 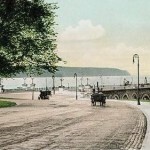 The Manchester sits on historic ground. 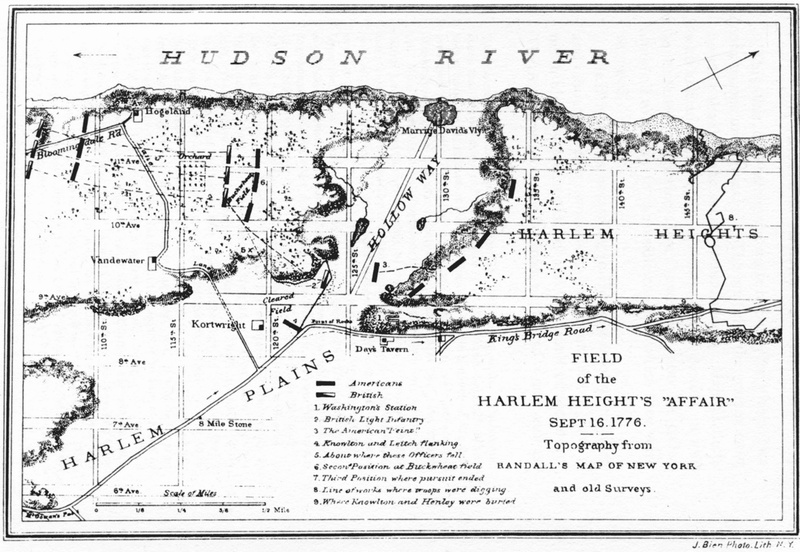 On September 16, 1776, much of the Revolutionary War Battle of Harlem Heights was fought in and around Broadway between 106th-120th Street.